Toyota Kirloskar Motor (TKM) Friday launched a new version of Camry Hybrid at an introductory price of Rs 36.95 lakh (ex-showroom). 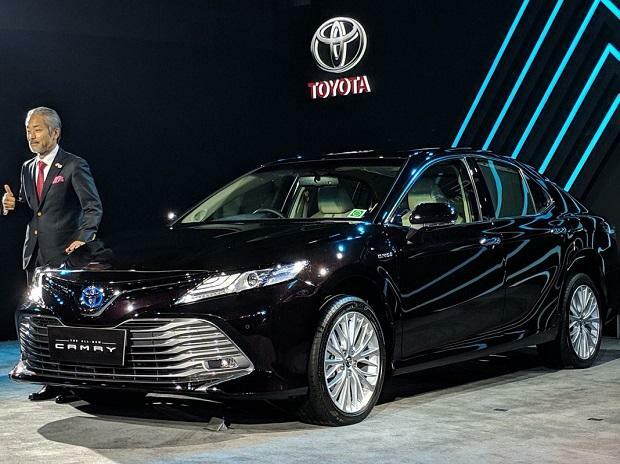 "With the new generation Camry Hybrid, which is a self-charging electric vehicle, we are moving one step ahead towards cleaner and the greener environment," TKM Managing Director Mazakazu Yoshimura told reporters. With changing market dynamics in terms of safety and emission norms, the auto industry in the country will have to come up with solutions that lead towards the conservation of the environment, he added. The sedan comes with fourth-generation hybrid system with advanced nickel metal hydride batteries. In the later part of 2017, TKM had to cut down the production of the vehicle as demand for the model was adversely impacted due to the increase in price post-GST implementation.